Ben Kilpatrick was born in Concho County in about 1877. He worked as a cowboy in Texas before joined an outlaw gang that included William Carver, Sam Ketchum and Tom Ketchum. After a failed train robbery in New Mexico he fled to the Robbers' Roost in Utah and joined what became known as the Wild Bunch. 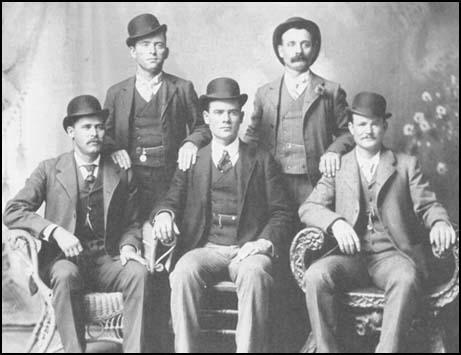 As well as the leader, Butch Cassidy, the gang included Sundance Kid, Ben Kilpatrick, Harvey Logan, George Curry, William Carver, Elza Lay and Bob Meeks. On 29th August, 1900, Kilpatrick, Butch Cassidy, Sundance Kid, Harvey Logan, and William Carver held up the Union Pacific train at Tipton, Wyoming. This was followed by a raid on the First National Bank of Winnemucca, Nevada (19th September, 1900) that netted $32,640. The following year the gang obtained $65,000 from the Great Northern train near Wagner, Montana. Kilpatrick was with William Carver when he was ambushed by Sheriff Elijah Briant and his deputies at Sonora, Texas, on 2nd April, 1901. Carver died from his wounds three hours later. 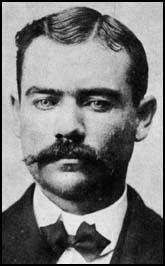 He fled to St Louis but was arrested with his girlfriend, Laura Bullion, on 8th November, 1901. He was found guilty of robbery and was sentenced to 15 years in prison. Released in June 1911, Kilpatrick returned to crime. Ben Kilpatrick was killed with an ice mallet while trying to rob a Southern Pacific express near Sanderson, Texas, on 13th March, 1912.